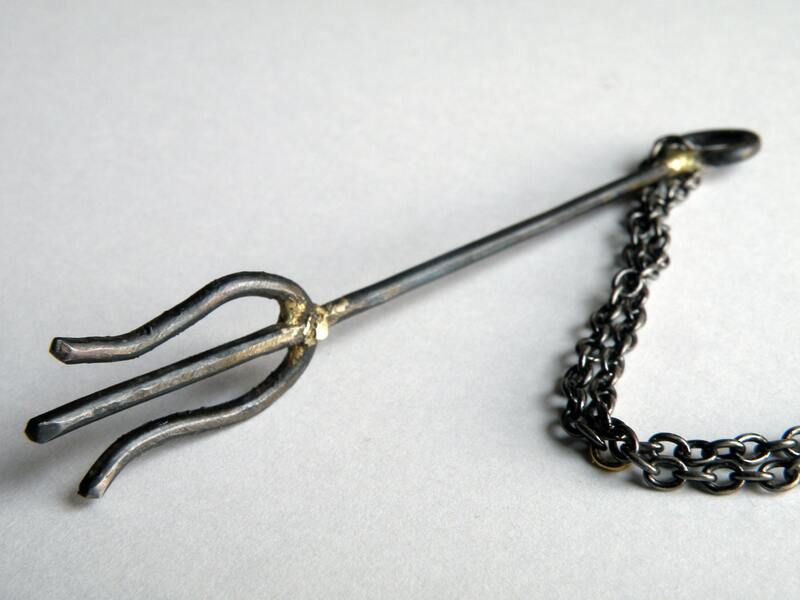 I carefully hand cut, form, and finish brass into a mysterious trident pendant. 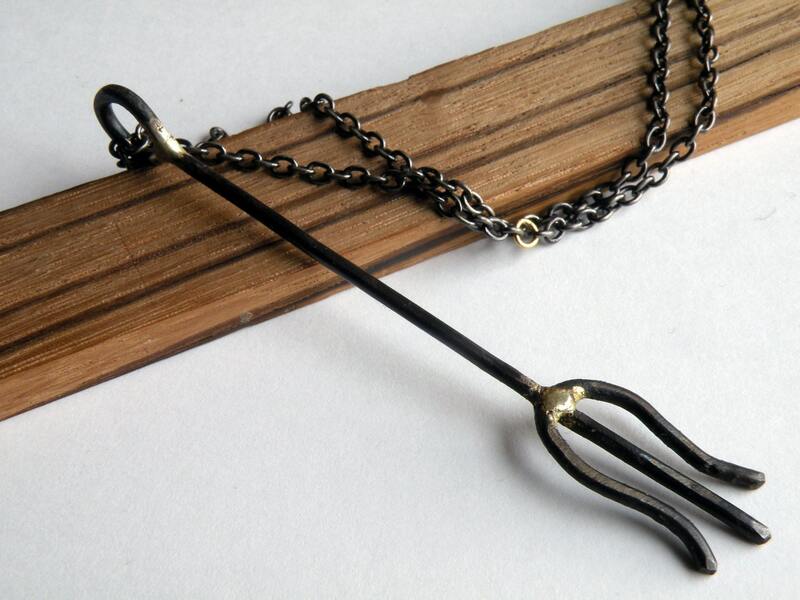 The brass has been heated until oxidized leaving it a beautiful black color. 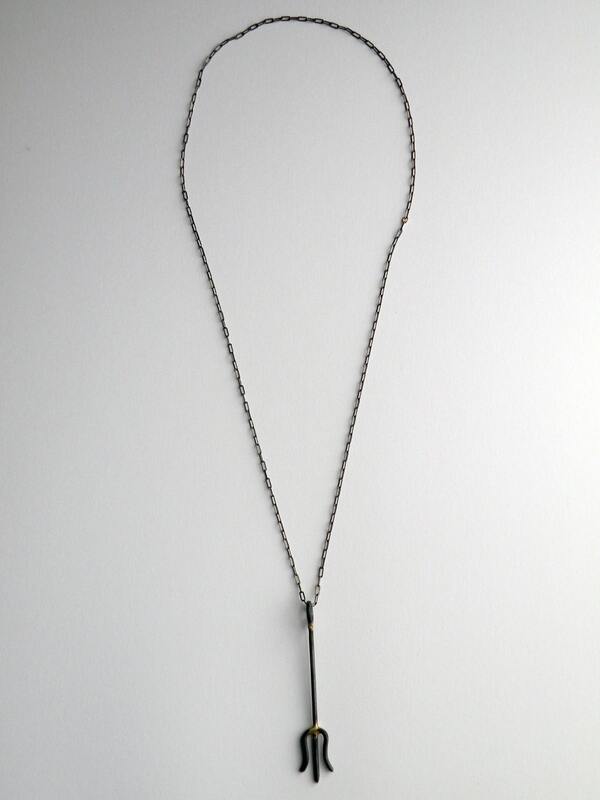 The pendant is approximately 3" long. 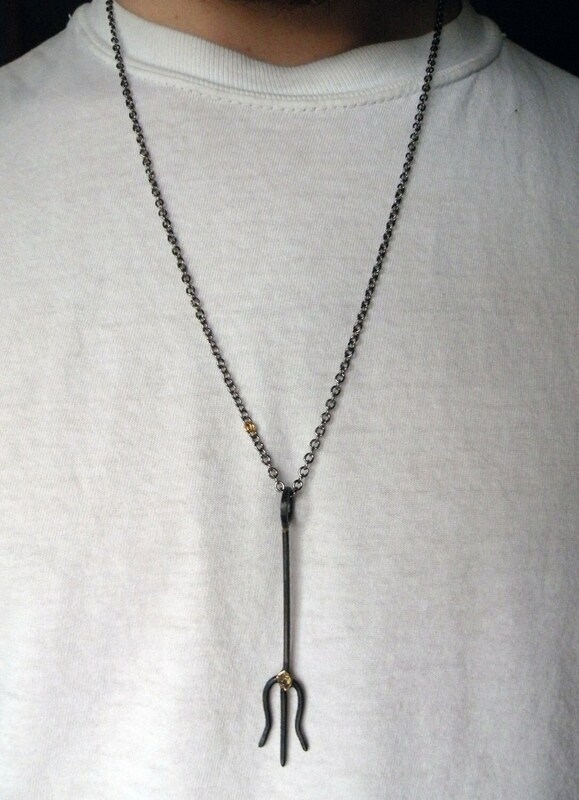 It hangs on a 26" gun-metal chain with one gold link. 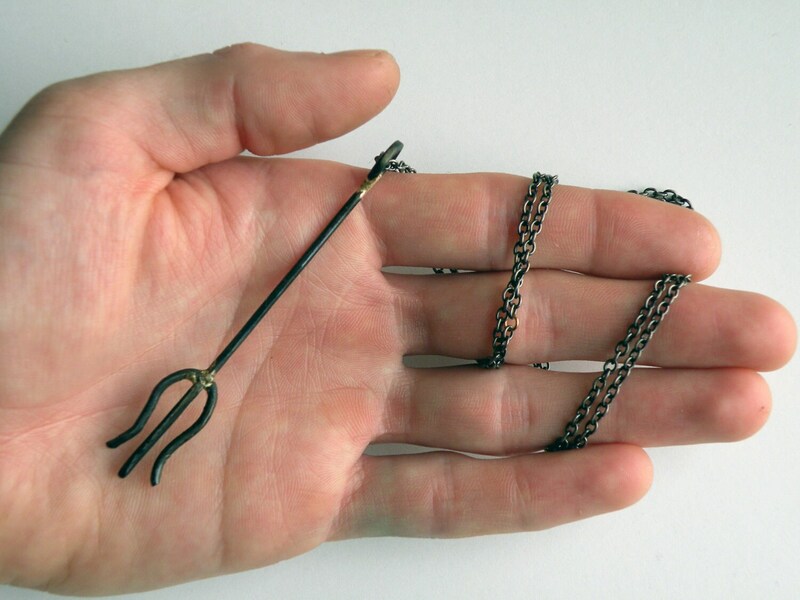 Round chain links are available as an alternative. I'm happy to adjust the length of the chain, swap chain styles, or make any changes as specified.